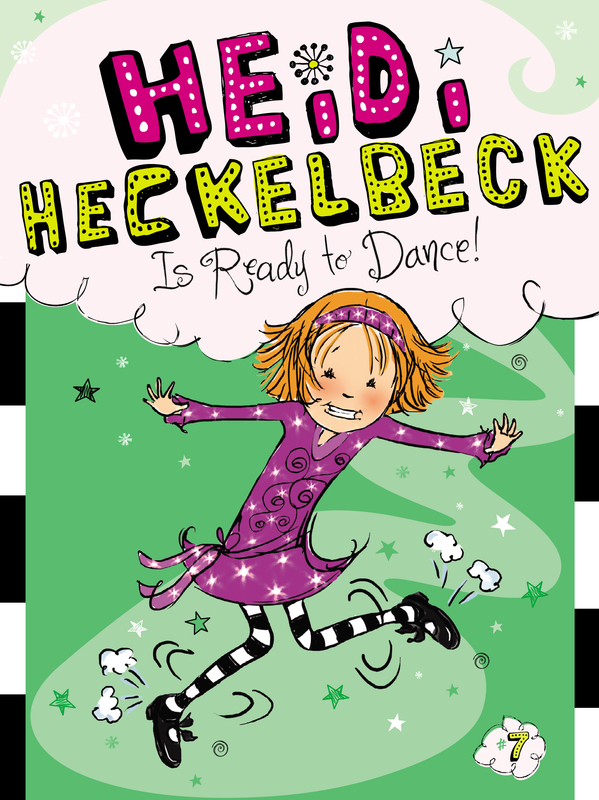 Heidi Heckelbeck sat on the maple-tree swing and twirled the ropes together until they were tight. Then she lifted her feet and let the swing go. She spun round and round. Her thoughts were spinning as fast as the swing. “You want to hear an awful truth?” asked Heidi as the swing unwound. “I guess so,” said her brother, Henry, who was sitting on the branch above her. Heidi took a deep breath. “Okay, here goes,” she said. “I have no talent. Henry stood on the branch. He put one hand on the trunk and the other high in the air. “I am an ac-TOR!” he said. “Not a one,” said Henry. “Really? This I’ve GOT to see,” said Heidi. Heidi and Henry ran inside. Then Henry hid behind the kitchen door. Henry moonwalked smoothly into the kitchen. He had his hands in his pockets as his feet glided across the floor. He moved his head forward and back as he walked. One heel snapped to the floor in between steps. Then he stopped and looked around. His eyes got wide as he pretended to see something. I wonder what Henry’s looking at, thought Heidi. Henry stooped and pretended to pick a flower. He pretended to smell it. Then he picked another and another. When he had a whole bunch of pretend flowers, he walked up to Heidi and offered them to her. “That’s so silly,” Henry said. Heidi pushed on the screen door, and it snapped shut behind her. Just then Dad walked into the kitchen. “Did I miss something?” he asked.